Complete customer satisfaction is a priority at Atlas Heating & Cooling and that is how we have become a leading HVAC Contractor in Macomb and Oakland County, MI. Every experience with our team includes interaction with a polite, friendly, knowledgeable professional. Consistency in customer service is found in each and every staff member dispatched to your home or business. Big or small, we are prepared to take on any job, always striving to provide satisfactory results at a reasonable price. Service was prompt and quick within 1/2 hour even at 9p. 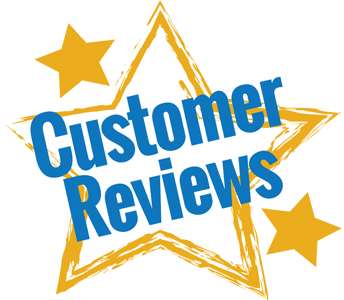 Technician was professional, courteous and knowledgeable. Great experience overall! 7pm in the middle of winter... furnace stops working and you have a 6 week old newborn....I called Atlas and left a voicemail.... they called me back at 7:15pm... on-site by 8pm.Spiros (Technician) is obviously very well trained. He was able to figure out the issue just by looking at the furnace.Furnace was fixed and warming up the house by 8:30pm.Great service! Fabulous, professional and so helpful! Did a great job explaining everything and getting my fireplace clean, up and running! Very pleased!! Truly the most honest and professional contractor I have dealt with. Would and WILL recommend this company to anyone in search of heating/cooling assistance. I have used this company several times over the past 9 years. The service is always timely, courteous, and professional. I also appreciate the honesty and integrity that you get along with it. I’ve never had a bad experience and will continue to use Atlas for any heating/cooling issues that may arise in the future. Arrived on time and did an excellent job diagnosing our problem with our furnace not turning on and staying lit. Came on an emergency basis. Had the parts on his truck to fix the furnace and fixed it quickly. Also diagnosed a very small gas leak coming from our water heater which we quickly addressed! Very professional. Thanks for the great service and quick response! We had Atlas install a new air conditioning system a couple of years ago so when our furnace one out it was an obvious choice who to call. 2 days later new furnace installed and the family is nice and warm. Thank you so much Atlas! Highly recommend this company! Fair pricing, honesty and integrity. What more could you ask for? These guys are AMAZING.....replaced my furnace and air quickly. Spiros was awesome from start to finish. Atlas Heating & Cooling was there for us when we needed them most! It's been a brutal winter and our furnace was down and beyond repair. They were able to get us up and running with a new furnace in no time. Would recommend them. Same day appointment! Actually within 2 hours of call! Professional and knowledgeable! Quick response on a Sunday no less. Honest!! Highly recommend!! Today is expected to be about 100 degrees and very humid. Our a/c clunked out last night and our house was getting hot quick. Plus, we just brought home a newborn baby 2 days ago, so we needed a/c to work right away. Called atlas at about 8:15am, he was at our house at about 8:45am and everything was fixed by 9:30am. And his pricing was fair. He was truly our here today! Not all hero’s wear capes!